A ninth appearance of the year on the ITTF World Junior Circuit, a previous best a semi-final finish in India; at last, on Thursday 23rd November, everything came right for Thailand’s Yanapong Panagitgun. He won the Junior Boys’ Singles title at the 2017 Portugal Junior and Cadet Open in city of Guimarães; furthermore, not only did he win the title, he fulfilled another goal. 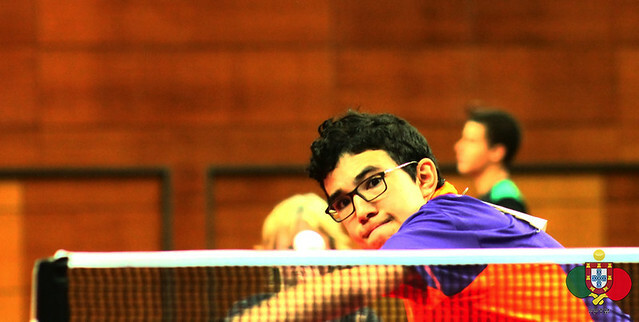 Prior to the start of the tournament he was just one place below the line to gain an invitation to the ITTF World Junior Circuit Standings to be staged next February in Luxembourg; the win has jettisoned the 16 year old to sixth place (2,752 points) on the Standings and a guaranteed invitation to the Grand Duchy. At the final hurdle in Guimarães, the no.2 seed, he accounted for the surprise player of the day, Japan’s Riki Kagami, a young man very new to the international scene and with no world ranking. In impressive fashion, Yanapong Panagitgun prevailed in four straight games (11-4, 11-1, 11-5, 11-3). The success for Yanapong Panagitgun came after he had ended the hopes of the host nation; at the quarter-final stage he accounted for Victor Amorin, the no.6 seed (11-6, 11-9, 11-4, 11-6), prior to beating ayoung man very much in form. In the penultimate round he beat Goncalo Gomes, the no.17 seed (11-7, 8-11, 11-9, 11-4, 11-2), the quarter-final winner in opposition to Iran’s Amirreza Abbasi, the no.3 seed (11-8, 7-11, 7-11, 11-9, 11-5, 8-11, 11-7). Likewise, in the opposite half of the draw Riki Kagami had caused Iran problems and had upset the order of merit. In the round of the last eight he beat Amin Ahmadian, the top seed (6-11, 11-9, 11-9, 17-15, 11-5) before causing yet another upset by recording a semi-final success in opposition to Romania’s Cristian Chirita (11-6, 11-4, 2-11, 11-8, 10-12, 13-11). The Junior Boys’ Singles event concluded, attention now turns to the Junior Boys’ Team and Cadet Boys’ Team in addition to the Cadet Boys’ Singles and Cadet Boys’ Doubles competitions.